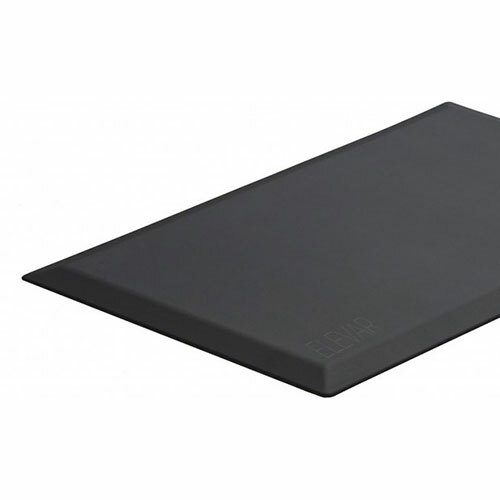 Not all anti-fatigue mats are created equal. The Elevar Toro proves this to be true. Made of single cut 100% polyurethane specifically designed for its strength and durability, the Toro won’t curl up at the edges and is resistant to tearing. Even high heels won’t leave a permanent imprint! 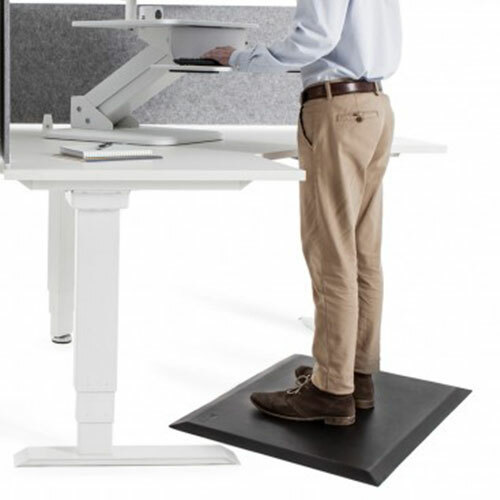 A mat too soft will feel comfortable to begin with but will also provide no support to the user nor encourage standing for any more than a short period of time. The Toro is made with high density 300kg/m – polyurethane to provide both comfort and support as well as encourage movement and increased blood flow. The bevelled edge design reduce trip hazard and the non-slip bottom keeps the Toro in place. The solid, high density construction will give years of continuous support. The Toro is environmentally friendly, easy to clean and doesn’t have that ‘rubber’ smell that some other mats have. The Toro measures 900mm x 600mm and comes with a 12 month warranty. Available in black.